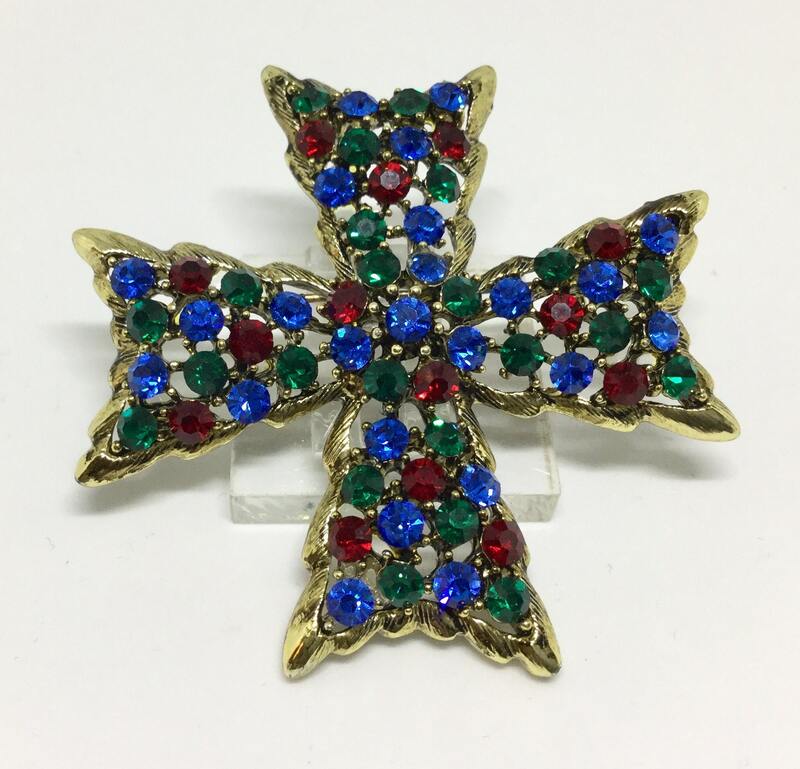 This is a gorgeous vintage 1960s goldtone WEISS sparkly rhinestone Maltese Cross brooch. 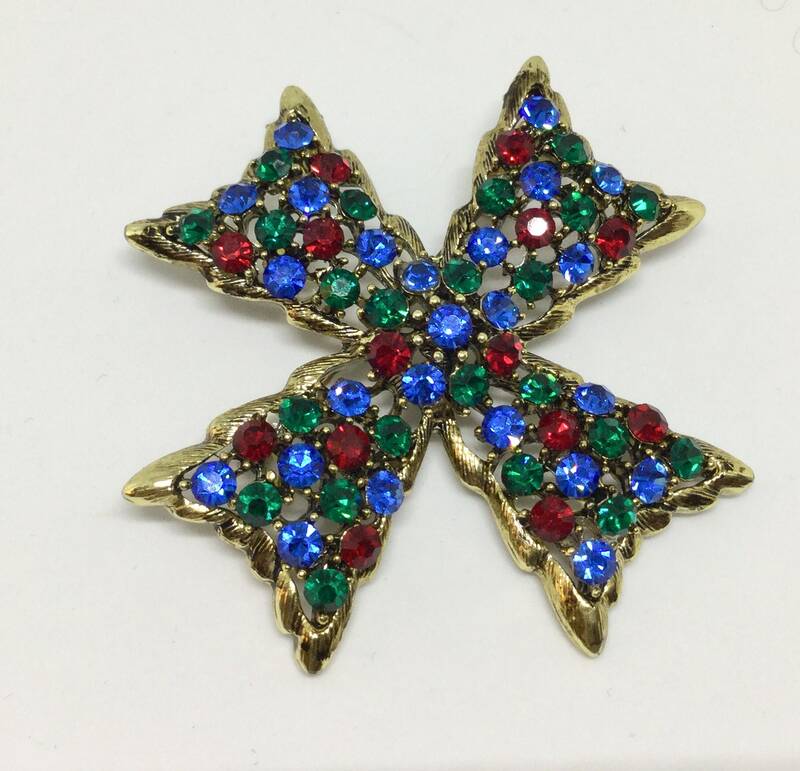 The paste set rhinestones are sapphire blue, ruby red, and emerald green in color. 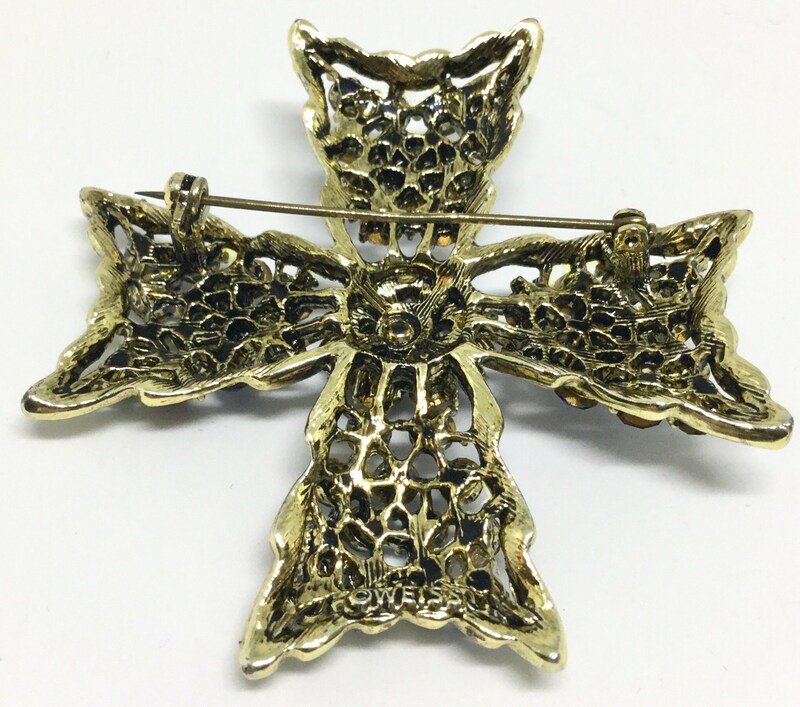 The center is a flower design with four rays that are outlined in a glossy goldtone edging. 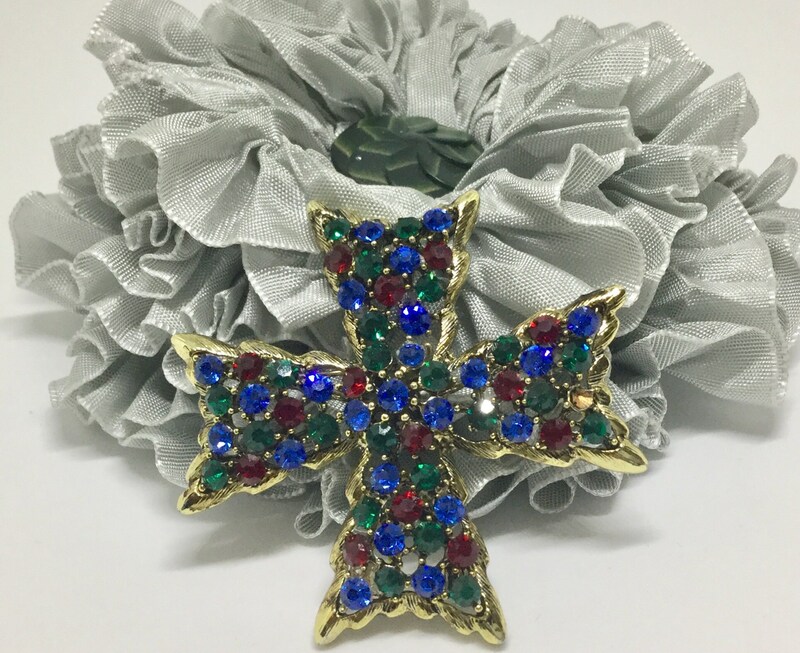 It is signed on the back ©WEISS. 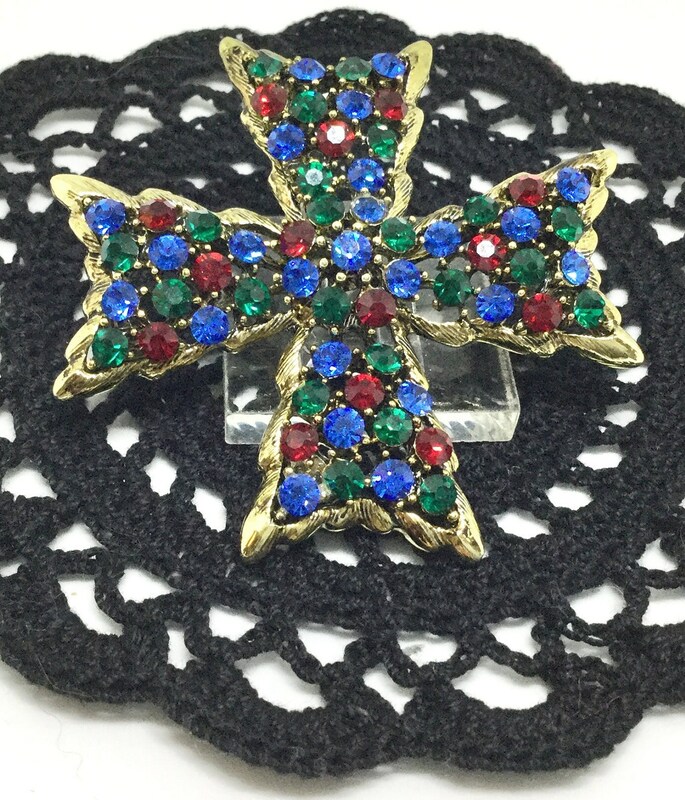 This is a wonderful Weiss brooch with its vibrant and rich rhinestone colors that would be amazing on a jean jacket!